The Armed Police Force has decided that it will scrap a system under which personnel going on UN peace-keeping mission would have to pay a fee of $150 to the force. The $150 was raised to support the Armed Police Women Association, Former Armed Police Association and the force’s sports department. “There is no need to charge additional fees as we are earning enough to support the two associations and the sports department,” said IGP Shailendra Khanal. Personnel, however, will have to contribute 8 per cent of their earnings to the APF Welfare Fund on their first visit and 10 per cent after subsequent visits. The force has also decided to provide an additional pension of Rs 12,000 a year to former employees older than 70 years of age. 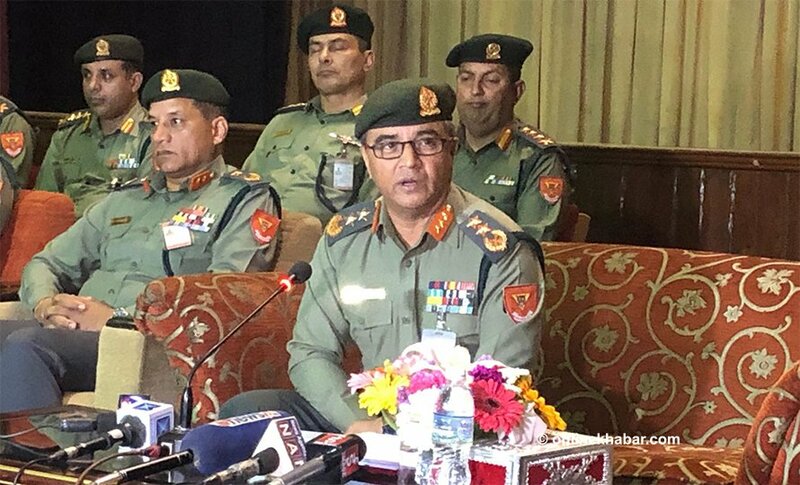 IGP Shailendra Khanal, who was speaking at a press conference in Kathmandu on Monday, said that decision reflected the government’s priority to help senior citizens. Khanal further added that the APF will now provide free band baja services at the wedding of current and former APF staff. This provision was only available to serving personnel. He further added that the soft loan quota has also increased to 250 from 225.